A state agency advised police to rely more on other indicators of intoxication after an Oklahoma civil court struck down a rule related to breathalzyer calibration. The Oklahoma Board of Tests of Alcohol and Drug Influence will probably not seek emergency rules for approval of reference materials used in DUI breathalyzers throughout Oklahoma. The director of the state agency has declined to recommend emergency rule making in the wake of a November, 2015 decision from the Oklahoma Court of Civil Appeals. In that case, the civil appeals court determined the Board of Tests had no valid breathalyzer reference material rule in place. Director of Tests Kevin Behrens announced in a Jan. 5, 2016 memo to state law enforcement officers and prosecutors that he will not ask the Board of Tests to promulgate an emergency rule. Wirth Law Office has obtained a copy of that memo. The memo is intriguing for several reasons. For those arrested on charges of DUI in Oklahoma, the document is a tacit admission by the state agency that breathalyzer tests might not be a valid basis for revoking drivers licenses in Oklahoma. Without a valid rule for reference gasses used in the tests, breathalyzer tests cannot be used as evidence. Oklahoma’s latest rules controversy primarily involves the Intoxilyzer 8000, a new-generation breathalyzer than relies on proprietary software and private vendor systems. Although the latest blow against the Intoxilyzer 8000 in Oklahoma involves this state’s administrative procedures, courts in Oklahoma and around the nation have at times been reluctant to accept vendor’s assurances that the machine is reliable without evidence of how the machine works. A person charged with DUI in Oklahoma typically faces both civil and legal action. The civil action occurs when the Dept. of Public Safety suspends the drivers license of a person accused of drunk driving. It was one of those civil cases — Eric Sample v. State, (2015 OK Civ App __) — that led to the Oklahoma Court of Civil Appeals decision. In that same case, the court also disallowed from drivers license revocations hearings evidence gathered with disposable breathalyzer mouthpieces that had not been approved in a formal rule-making process. On the criminal side, the memo suggests that prosecutors and arresting officers should be prepared with ample evidence – other than breath tests – to obtain a conviction. The suggestion hints that the Board of Tests believes the Court of Criminal Appeals decision could potentially affect criminal prosecutions of DUI cases, in addition to civil drivers license revocation hearings. What is more intriguing about the memo is that the director encourages prosecutors to attack a growing rift between Oklahoma’s criminal courts and civil courts. “As Sample is a civil case, you have a number of options available, including urging the District Court to disregard the Sample decision due to its inapplicability to a criminal matter,” Behrens wrote. By way of background in Oklahoma Civics 101, ours is one of only two states in the U.S. that have separate criminal and civil appeals courts. Where the United States Supreme Court has authority over all lower courts – criminal and civil – the Oklahoma Supreme Court is primarily the highest court only on the civil side. The Oklahoma Court of Criminal Appeals is the high court on the criminal side. At the district court level, the divide is not so clean cut. This is where the Board of Tests Director’s effort to drive a wedge between the courts could be troublesome. In most Oklahoma counties, a District Court judge’s docket includes both civil and criminal cases. Only in the largest counties, including Tulsa and Oklahoma counties, are there enough judges to divide case loads between civil and criminal judges. The Court of Civil Appeals decision not only addresses when reference containers can be accepted as evidence in civil cases, but how state agencies make rules. The reference container rule could affect anybody charged with drunk driving in Oklahoma. The decision on rule making could potentially affect any state agency. Here’s how. The Board of Tests is required by Oklahoma law to promulgate rules that govern materials and methods for drug and alcohol tests. According to the Oklahoma Administrative Procedures Act, rule making requires public notice along with legislative and gubernatorial review. With regard to reference materials, however, the Board promulgated a rule that delegated to the board authority to approve procedures merely by a resolution of the board. In effect, the board used the rule-making process to exempt itself from the rule-making process in some matters. The Court of Civil Appeals said the Board of Tests could not delegate that kind of power to itself. If the Supreme Court declines to review the case or affirms the appeals court decision, but the Court of Criminal Appeals nonetheless approves the delegation of power, other agencies could follow suit. Agencies could delegate to themselves power to promulgate rules by resolution that would stand up in criminal cases but not in civil cases. Any matter governed by a state rule that affects both criminal and civil cases could potentially pull district judges across conflicting interpretations of the Oklahoma Administrative Procedures Act. Consider what could happen, hypothetically, if the Board of Governors of the Licensed Architects and Landscape Architects of Oklahoma delegated to itself authority to adopt licensing rules for architects, outside the Administrative Procedures Act. It is a misdemeanor in Oklahoma to provide architectural services without a valid license. The Board of Governors may seek criminal prosecution and civil injunctions against violators. In such a case, a rural district judge might be required by the Court of Criminal Appeals to consider an unlicensed architect in criminal violation of a valid license rule. The same judge might be unable to civilly enjoin the same person from further violating the same rule – which could be invalid according to the Court of Civil Appeals. As unlikely as such an outcome might be, Oklahoma has seen recent cases where the rift between civil and criminal courts was a matter of life and death. The Oklahoma Supreme Court in 2015 determined two condemned men had a right to civil review of a law that prohibited them from knowing about drugs that would be used in their executions. The governor refused to recognize the Supreme Court’s jurisdiction in the case, and announced that the executions would proceed. In a Lincoln County murder trial, the Oklahoma Supreme Court found it had jurisdiction to determine how a five-day rule is computed when appealing a criminal judge’s refusal to step aside in a case where a conflict of interests is alleged. The Court of Criminal Appeals had allowed a different interpretation. The Okla. Supreme Court staked its claim to authority on a clause in the Oklahoma Constitution that gives the Oklahoma Supreme Court the last word when the courts have jurisdictional differences. By far the most immediate impact of the Board of Tests memo is likely to be some extra effort on the part of arresting officers to document evidence of drivers impairment at the time of an arrest. That was the Director’s recommended remedy in the event the Supreme Court does not reverse the lower civil appeals court decision. For drivers, that can mean it is important not to make statements that can be construed as evidence of impairment, and perhaps to decline roadside “field sobriety” tests that can be the basis for officer’s subjective opinions. 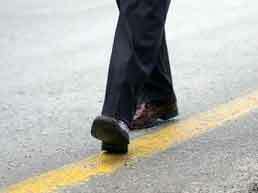 Oklahoma law implies that drivers will consent to breath tests, but does not require drivers to participate in field sobriety tests – sometimes called “stupid human tricks” – such as walking a line, standing on one foot, reciting the alphabet backwards or touching their nose with their eyes closed. If you have doubts about your rights when arrested for DUI in Oklahoma, or you are facing a drivers license revocation for DUI in Oklahoma, contact a Tulsa drunk driving attorney to get the facts. For a free consultation with a DUI attorney in Tulsa, Okla. Call Wirth Law Office at (918) 879-1621.